Ben Trube is a writer of both fiction and non-fiction books (and recently an adult coloring book of fractals). Odds are you found this blog through the Fractals You Can Draw posts. If so, you may be interested in Fractals: A Programmer’s Approach, which provides detailed information on how to generate many classic fractals with hundreds of example images. Ben is currently working on a new fractal book project to be published by Green Frog Publishing. In fiction Ben writes mysteries with a technological bent. His latest, Surreality, tracks a murder in an online video game to the real-world theft of $80 million dollars, the disappearance of a high priced call girl, and threats on the life of one of the game’s creators. You can check out the first few chapters here: (epub | kindle). During the week Ben blogs about technology, writing, math, comic books, or whatever strikes his fancy. 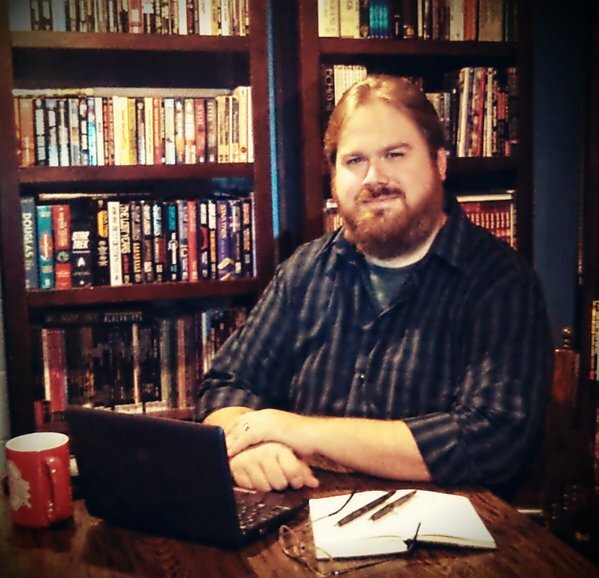 To contact Ben about his books, request a guest post, or to suggest a blog topic please write to bentrubewriter@gmail.com. Hello, Ben. It’s great to find you here. Thanks Mel! Due to some technical difficulties, I will be unable to post at by usual time (1pm) for the foreseeable future. I will begin posting at 6am starting 5/31/2012. Thanks for the nomination! I’ll say a proper thank you in a post as soon as I can. Thanks Mel! Little preview of Surreality tomorrow! I love sci-fi, looking forward to checking out more of your work! So… I have a question… is your cat named after Jadzia Dax? Indeed, and there is a orange male cat that wanders around our neighborhood and occasionally accepts food from us that we’ve nicknamed “Worf”. Unfortunately Worf and Dax hate each other. That’s so sad! They easily had the best Star Trek relationship of all time. Nice to discover your blog Ben. I really enjoy your blog posts. I also want to write a book and get it published one day.